This year's Sports Day was the first occasion for our Houses to compete amongst and against one another. 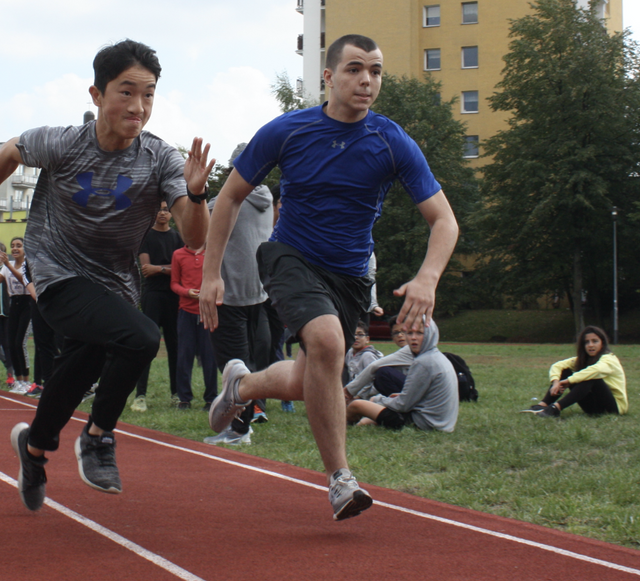 In the first half of the day, students took part in orienteering within an urban landscape at Sadek Natolinski. We'd like to thank all the parents and students for supporting this event. We had a great turn-out and the students got plenty of exercise in new activities. They also integrated well across the various age groups. Special thanks to our Head of the PE Department, Mr. Jan Wierzbicki, and to our Head of Elementary, Ms. Kate Kerr, for all their leadership in this event. It was by all accounts a great success for the school.